NORMAL – Census Forms should be arriving in your mailbox in the next week. If yours has your correct street address but said you live in Merna, and not Normal, Normal Town officials know about the error. Town officials advise residents to complete and send in the form as soon as you can to help the Town so that it can receive federal dollars. That was the message City Manager Mark Peterson gave Normal Town Council members at the group’s March 15 meeting, explaining Census officials made the Town aware of the error and are still trying to piece together how the address glitch – Census notices and then Census forms arriving at the correct street address but with “Merna IL 61761” as the city location – occurred. Peterson said Normal’s population count will get counted when residents turn in their census forms despite the Census Bureau muff. He said Normal City Hall started getting calls about the address issue about a week ago when the Census Bureau sent out letters to residents in advance of the arrival of the Census forms. The letters ask residents to be mindful the Census forms were coming and to fill out and return them promptly. And yes, those advance letters had the right street address but had “Merna, IL 61761” as the town being mailed to. Waivers For Multimodal Transportation Center Approved: Council members approved a resolution granting waivers from the Uptown Design Review Code as they relate to the soon-to-be built Multimodal Transportation Center along Beaufort Ave. In addition to the transportation center’s ground floor catering to train, interstate and local bus service, and taxis, the middle two floors of the four-story structure will have Town offices, some being moved from the current City Hall, while the fourth floor will be used for the new Town Council chambers. The design for the Multimodal Transportation Center includes a 68,000 sq. ft. building with a clock tower, and an attached four story parking deck with 400 parking spaces. Waivers approved for the construction included: an overall waiver for the parking deck from the Town design code, and allowing for slightly over 20 percent window coverage where current Town code requires between 30-50 percent. Peterson said he is still waiting to hear from officials of the U. S. Department of Transportation concerning their rules for the use of grant money that will be used for the project. He said he hopes to have the project out for bids by construction companies by next month, with actual construction starting by either June or July. In response to a question by Council member Adam Nielsen, Peterson said construction in the area where the Transportation Center is to be built should “cause minimal traffic disruption in (that) area” of Uptown Normal. Council Approves Lincoln University Bond Resolution: Council members unanimously approved a resolution authorizing execution of documents related to three different series of tax exempt bonds the Town issued to help assist Lincoln University. The Town authorized a total of $9.9 million in bonds over a five year period: A $4 million bond was issued in 1996; a $3.5 million bond was issued in 1998; and a $2.4 million bond was issued in 2001. Lincoln University, at this point, is now facing a question concerning the type of collateral pledged to assure repaying of the bonds. The University has pledged certain real estate as collateral. City Manager Mark Peterson said Normal’s having issued the bonds is the only reason the Town has any involvement in the situation. Normal has incurred some legal costs as a result of being involved with this, Peterson said, but he said after the meeting he did not know how much the bill for the legal services would be. Recommended Reappointments Granted: Council members unanimously approved recommended reappointments for persons serving on various boards, commissions, and committees, and whose terms are set to expire on March 31, 2010.  Gary Blakney, Keith Palmgren, and Tony Penn (Zoning Board of Appeals, 2014). Annual Liquor Licenses Renewals Granted: Council members, meeting as the Normal Liquor Commission prior to the Council session approved renewal of annual liquor licenses for the 55 establishments which are licensed to sell alcoholic beverages. A total of 31 licensees are authorized to sell packaged liquor; 15 sell all their liquor by the drink; 5 sell beer and wine by the drink; 2 licensees are hotels; 1 licensee sells beer by the drink; and 1 licensee is a brewpub.  Approval of the minutes of the Council’s regular meeting of March 1, 2010.  Approval of the minutes of the Public Hearing of March 1, 2010.  Approval of Town of Normal expenditures for payment as of March 10, 2010.  A motion to authorize staff to negotiate a contract with Normal-based Wilcox Electric and Service, Inc. for various energy efficient lighting enhancements in accordance with the Federal Energy Efficiency and Conservation Block Grant (EECBG) Program.  A motion initiating a Zoning Map Amendment in the Town of Normal – 602 and 604 Hester St.
 A resolution authorizing agreements for construction materials testing services for the 2010 construction season with Normal-based Terracon Consulting Engineers and Scientists, and with Bloomington-based Testing Service Corporation.  A resolution authorizing staff to execute an agreement with Normal-based Prairie Signs, Inc. in the amount of $25,763 for the installation of street name signs and district map signs associated with the Uptown Normal Wayfinding Project.  A resolution authorizing execution of a real estate contract – 602-604 Hester St.
 A resolution conditionally and partially approving the final plat of the Normal Multimodal Subdivision by expedited process. NORMAL – Eighth graders Jacob Marsh and Sean Woods both proved they could live up to a basketball challenge Saturday at the Special Olympics Illinois’ State Basketball Tournament. Both earned gold medals at the Basketball Skills Competition at the Special Olympics Illinois State Basketball Tournament, held Saturday. The Basketball Skills competition was held at the south end of Horton Field House on the Illinois State campus. It is an event that has evolved into an event that tests an athlete’s being able show certain skills.  Spot Shooting: To be able to shoot and make a basket from six points along the free throw lane. Having the ball either hit the rim or the backboard, would earn points in this competition, in addition to getting the ball in the basket.  Wall Pass: To be able to throw the ball at a square taped to the wall. Getting the ball inside the square, or having the ball hit the edge of the square, and/or be able to catch the ball once it comes off the wall, would earn the participant points in this part of the competition.  10 Meter Dribble: A timed event where a participant must continuously dribble the ball a short distance between two points. “(Jacob) has matured a lot since being involved in Special Olympics,” Jared Marsh said. “His enthusiasm for life in general has picked up quite a bit since he started (doing this). For his efforts, Jacob exited the competition with a bronze medal, which excited his parents, and his coach from Washington District 50, Suzanne Arterburn. His latest medal brings his overall medal count in Special Olympics to 12 since he started with Arterburn last Spring, starting with track and field medals he won almost a year ago. Woods Passes His Test, Too: Another level of testing for basketball at SOI State Games is known as Intermediate Skills, which Woods demonstrated, tests an athlete’s ability to pass a ball while moving, dribbling a ball while weaving between stationary cones, and being able to make shots from 12 different points on a court. Sean Woods’ mother, Barb, Washington, has seen him participate in Special Olympics since Arterburn and District 50 revitalized the program last Spring, and so has his grandmother, Kathleen Helms, Washington, except when Sean was on a basketball court. That she had not witnessed yet. Sean handled retrieving the ball off of a wall with only one minor glitch, weaved the basketball effortlessly between the cones three times in the one minute time limit, and made most of the shots from the stations on the court to the delight of his mother and grandmother. He also did it to the satisfaction of the judges who moved him from station-to-station during his test and judged his every move. He earned a gold medal for his efforts. Intermediate Skills Acts As A Bridge: Special Olympics Illinois added the intermediate level of skill testing in basketball because skill testing can serve as a bridge for an athlete between honing those skills and possibly being able to participate in the sport on a team, explained Julie Smith, SOI’s director of sports and competition. “What we found was that our athletes who were doing individual skills but were trying out for teams, but weren’t ready for or couldn’t join a team yet, but still wanted to do basketball were not being challenged by individual skills,” Smith said. NORMAL – The Special Olympics basketball team from Morton School District 709 finished what has been an interesting rookie season Friday with Silver medals for the team members after dropping a pair of losses in their division to a team from Palatine School District 15. Family members cheered from the upper stands in Horton Field House on Illinois State’s campus as head coach Amanda Cross and three of her four assistants Corinne Wolffe, Lauren Cox and Jackie Herr, worked to motivate an already eager team of youngsters, ages 12 and 13. Another assistant, Sarah Laidig, was not able to attend. Cross’ team was in a rare division with just one other team from Palatine School District 15, whose team was nicknamed the Blue Jays. Morton 709, using the team nickname Red Wings. Fans and family members of Red Wings players hoped the result would be 2-out of-3 wins, resulting in gold medals for their heroes. When game one ended in a lopsided 40-9 victory for Palatine, Morton fans had hope that their team could recover and win the next two. But it wasn’t to be, as, in the second showdown that had a little closer result, Palatine beat Morton, 28-20, claiming two games to win the gold medal. While the losses were disappointing, the parents, grandparents, and supporters of the Red Wings rallied around the players as they accepted their Silver medals at the end of the day. Morton 709 finishes its first basketball season with a record of 2-5, having come into the tournament with a regular season finish of 2-3. Morton 709 is one of 133 teams competing in four tournaments – junior, which Morton 709 was part of; Senior Male; and Female; and High School. There were a total of 20 teams, each that had male and female players on them, competing in the Junior tournament. Divisioning Is A Factor: Morton 709 is not the only team that found themselves being divisioned by Special Olympics Illinois against only one opponent. There was one bracket in this event’s Senior Male Tournament that only had two teams in it as well. Special Olympics Illinois, if at all possible, tries to avoid such divisioning, but sometimes, based on the skill level of the teams that make it to State, it is something that can’t be helped, explained Julie Smith, SOI’s director of sports and competition. Smith said she and her staff use game results and team statistics to try to division each team. Because there was no other team to play at district level when District competition was held in January, Morton 709 received something akin to an automatic berth from SOI, Cross said. Coach Turned Grandpa On Sidelines: Kent Ayers, Pekin, knows a little something about coaching, mentoring, and parenting athletes. He had been a Tennis Coach at Pekin Community High as well as PCHS’ athletic director before retiring in 2001. Now he is the grandfather of 12-year-old Jordan Brix, one of the players on Morton 709’s team. “(Watching these athletes), you have to realize that they are out there doing their best, and doing what they can do, and you’re happy that they can have that opportunity,” said Ayers. Jordan’s parents, Allan and Shelly Brix, Morton, found out District 709 was going to form a track team last spring, which competed in both the Special Olympics Illinois Area 6 Spring Games in Bloomington last May, and at the Special Olympics Illinois State Games in June. Pekin, Morton, and Tazewell, Mason, and McLean Counties compose part of SOI’s Area 6. “The amount of love and affection that these kids have for the people around them just offsets their physical limitations,” Ayers said. Ayers seemed to briefly put on his athletic director’s hat when he said, “We’ve seen some progress all along (on this team this season).” Ayers said he thought the team playing in a field house with other games going on around them – 5 games total in the field house – might be distracting for the first time for a team that has been accustomed to playing in a single gym during their regular season. If Jordan is any indication of how excited Cross’ troops were to get here, they must have been very thrilled to get to State. Ayers relayed that his grandson had planned to be up by 6a.m. Friday to get a good start on his day. Ayers reports Jordan nearly made good on his wake up call – only missing it by 20 minutes, raring to get to Normal for the day’s events. Ayers’ wife, Ludy, said she takes 12-year-old Jordan to Peoria for fitness training. She said the staff at Easter Seals Fitness Center has noticed what basketball has done for Jordan in terms of being able to move the length of the court with ease. “Jordan has made great progress, and for him to do this…it’s a dream come true,” Ludy Ayers said. Teaching Basketball Skills Was A Must: Cross said she and her assistants worked twice weekly during the season with students in a gym at Lincoln School. She said practices began with discussing dribbling, passing, and shooting before even discussing positions on the court. “They had to have those core skills in order to put this together,” Cross said. Kathy Riddle was named to receive the “Knisley Spirit of the Game Award” following the day’s first game. Her teammate, Miranda Dahmm, received the award following the second game Morton 709 played. Getting to the point to being able to play East Moline United was almost too easy for NCHS (21-9 after NCHS Regional). The Ironmen took on Normal West for the NCHS regional championship March 5. For that game’s first three quarters, NCHS set the pace with Anthony Beane hitting two threes and baskets by Kyle Dierkes and Kevin Bischoff to give the Ironmen a commanding 16-3 lead going into the second quarter. Normal West finished the year with a 19-11 record after a regional game first quarter that saw them score solely from the free throw line with Austin Stewart going 1-for-2 at the three minute mark, cutting NCHS’ lead to 12-1, and then when Tyler Bell sank a pair of free shots at 1:29, giving NCHS a 14-3 count. Beane and Bischoff helped push NCHS further in the lead in the second quarter, Bischoff hitting a pair of deuces and Beane adding another three to give NCHS a 29-8 lead going into halftime. West seemed to be putting the pieces of their game together at the start of the second half, behind a three by Stewart and a deuce by Bell. At that point, NCHS still owned a commanding 40-18 lead, with no idea of what West’s game would look like in the fourth quarter. Two treys by Stewart, plus an additional three by Tyler Scheuermann led the way for the Wildcats during their fourth quarter comeback attempt. Stewart’s threes helped cut NCHS’ lead to 13, 47-34, with 3:36 left in the game. Fouls and missed free throws by NCHS gave West more assistance. When Scheuermann sank a trey a 1:54, West had cut NCHS’ lead to nine, 49-40, changing the tone of the crowd from loud cheers to near quiet murmurings. But West would be called for six fouls in the last 1:50 of the contest, sending Taylor Lierman to the free throw line once, and Bischoff and Beane to the charity stripe each three times before the game’s final buzzer. While Lierman would not add to NCHS’ total from there, Bischoff and Beane would sink a combined 10-of-12 free throws to escape with a victory, sending the Ironmen on to Pekin for the next round. “I’ll tell you what…the first half set this whole game up for us,” NCHS head coach Dave Witzig said afterward. “To get a 21-point lead in the first half gave us an opportunity to be more patient on offense. “We knew (West) would make a run,” Witzig added. “I mean, you’re playing your arch rival. We knew they had a great year, so you know they are going to make a run and make some shots. I didn’t like some of the things we did that let (West) back in the game, but our guys did a great job” Witzig said. Cupples credited his senior corps of Bell, Hallstein, Scheuermann, and Brock Stewart with leading the way during the season. Beane led all scorers with 20 points, leading the charge for the Ironmen. He was followed in double figures by Bischoff’s 14 and 10 from Nathan Haynes. Bradley Hallstein led West with 19 points, followed by Stewart’s 17. Following their performances at NCHS Regionals Tuesday, the showdown the West faithful were hoping for then will become a reality Friday night, starting with a 7:30p.m. tip-off. That’s because first seed Normal West eased past fourth seed Minooka, 68-42, while second seed NCHS conquered third seed Bradley Bourbonnais, 64-46. 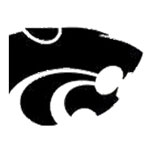 Normal West 68, Minooka 42: First seed Normal West’s 68-42 victory over 6-21 Minooka got the evening off to a fast start, with the Wildcats jumping out to an 8-0 lead on a pair of baskets by Austin Stewart and a deuce from Tyler Bell at the 4:18 mark. Minooka cut West’s lead, 10-5, in part, on a trey by Ben Heide with 2:20 to go in the quarter. But a trey from Bell with 2.5 seconds left gave West a 15-5 lead to begin the second quarter. From there, a 7-0 run, led by a trey from Bradley Hallstein with 3:31 until halftime and a pair of unanswered deuces from Stewart helped push the Wildcats toward their 40-18 halftime lead. West (19-10) never looked back from that point, doubling the lead on fourth seed Minooka going into the fourth quarter, 56-28. Hallstein led four West players in double figures with 15 points. He was followed by Bell with 14 points, and Taylor Scheuermann and Stewart each scoring 13. Jake Butler was Minooka’s lone player in double figures, scoring 11. At 7:20p.m., 10 minutes before NCHS was to tip-off against Bradley Bourbonnais, Minooka head coach Scott Tanaka was not available for comment, as he and his team were still behind closed locker room doors. Normal Community 64, Bradley Bourbonnais 46: Second seed NCHS’ road to the Regional Final against third seed Bradley Bourbonnais had a similar start to what West experienced, starting with a quick 7-0 lead on baskets by Kyle Dierkes and Kevin Bischoff, and free throws by Anthony Beane as response to a technical foul called against the Boilermakers’ Zach Wadley at 4:21 in the first quarter. NCHS (20-9) owned a 13-4 lead with two minutes left in the quarter, taking a 20-7 lead into the second quarter. Only Kurt Homberg’s trey with 1:05 left in the quarter managed to slow NCHS’ scoring sprint down. That sprint continued when the second quarter began with back-to-back from Taylor Lierman and Nathan Haynes pushing the Ironmen lead to 24-7. But the Boilermakers struck back with four treys – two from JoVaughn Shivers and one each from Paddy Rooney and Brandon Moliga – to pull within 8, 31-23, with 1:45 left in the quarter. Although Kevin Bischoff and Anthony Beane scored back-to-back buckets to close out the half for NCHS, the Ironmen owned a 10-point lead, 35-25, going into the intermission. Fouls committed by Bradley Bourbonnais (8-17) sent Kyle Dierkes to the free throw line to down four free throws, giving NCHS a 41-28 lead with 5:39 left in the third quarter. Beane added two threes to increase the lead to 47-30 with 3:24 left. Although Tim Smith had one trey for the Boilermakers in the quarter, NCHS had a 50-35 lead going into the fourth quarter. Bradley Bourbonnais pulled within 10, 50-40, to begin the fourth quarter, including two free throws by Shawn Downey. NCHS responded with a bucket from Nathan Haynes and a three from Bischoff to increase NCHS’ lead to 55-40. from there, the Boilermakers would only score six more points on the night – deuces from Wadley, Zarius West, and two free throws from Zach Pallissard to close out the night and assure the Ironmen a victory. Bischoff led all players in double figures with 18 points. He was followed by 15 from Beane, 13 from Dierkes, and Haynes’ 12. Wadley was the only Boilermaker player in double figures, scoring 11. “We jumped out to a big lead on them, and maybe, we relaxed a little bit, and (Bradley Bourbonnais) did a good job of fighting all the way to the end,” said NCHS head coach Dave Witzig. Witzig said “there is a lot at stake for us against West” Friday. Renchen said getting NCHS to turn the ball over was key since his team was playing without the services of starting center Austin Halcomb, who was out sick.